Small dog syndrome is a term given to any little dog who demonstrates a certain collection of behaviors. These behaviors have the effect of overcoming any issues they might ordinarily be thought a small dog may encounter due to their size. These behaviors can be cute and funny at times, but they can also be destructive and a daily hassle. 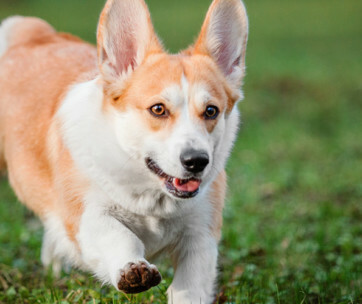 By understanding exactly what small dog syndrome is and how to deal with it, dog owners can learn to overcome any issues with their furry friend. When people get a new large-breed dog they think about getting it into training as soon as possible. They know that when it grows up, they may become difficult to handle. 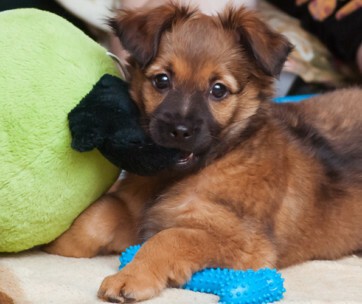 However, it often becomes a different story when people buy a small breed puppy. Little dogs stay little so there does not always seem to be a need to get professional training for them. This is a common mistake made by lots of small dog owners that gets them into trouble in the long term. What Small Dog Syndrome Really Looks Like? There are a number of behaviors that when grouped together make up small dog syndrome. These behaviors can of course happen in any size dog but are more widespread in smaller dogs. If a small dog jumps up on you, it is frequently regarded as being a delightful display of affection. However, if this happens a lot with a small dog, jumping up is a dominating behavior. While it might seem charming, if you want your dog to be well behaved, jumping up must not be permissible. If they are allowed to climb into your lap whenever they feel like it, it is them demonstrating that they are in charge. They will start to believe they are the pack alpha and become more dominant. If a huge dog snarled at a person you would get worried as growling is not suitable behavior. But, generally speaking when a small dog growls, people avoid the little dog or forgive the behavior. There is no chance that owners would think this acceptable with a bigger dog. 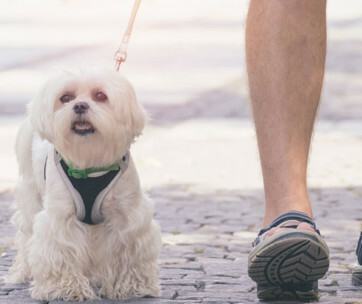 A large part of training a dog to learn to behave appropriately is ensuring that they are able to walk safely on the leash. Small dogs often refuse to walk and never learn this skill. Just because your small dog cannot pull you over, they should not be allowed to pull wherever they want. this shows they think they are in charge and their dominance will only strengthen if left. Teaching walking skills is a great way to guarantee that your future walks are a pleasurable experience and not a power battle. Tiny dogs who see themselves as the leader of your home frequently become yappy, which is basically their way of giving you their orders. Separation anxiety is a dominance issue in its own way if a dog will not be left alone without yapping. A small dog with separation anxiety characteristically gets upset if left by their lower pack members. It is arguable whether or not your small dog realizes that they are small. Are they acting up because of a necessity to overcompensate for their small size, or are they behaving that way because they are untrained and overly cared for? Numerous vets believe that small dog syndrome is learned. We have permitted our small dogs to break the rules. As owners, we think we are showing love and fondness by allowing them to have their way, but the consequence is that they end up feeling very anxious, nervous and insecure. 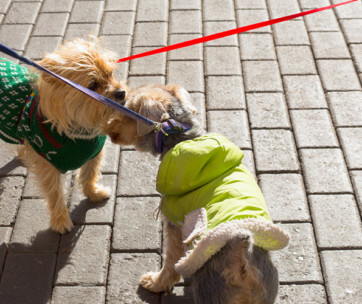 There are many ways of improving small dog syndrome behaviors. Changing dog behavior usually comprises a change in owner behavior too. This syndrome might have a lot more to do with the owner’s behavior than their small dogs. 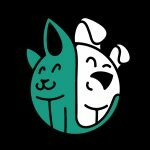 Empathy for your dog’s true nature, and how humans affect dog’s behavior, is the initial step in refining small dog syndrome. Take the leadership back. The way to fix the problem is to establish that as the owner you are the leader. Small dogs are happier when they recognize who their leader is. They can feel the pressure of having to be the Alpha dog, they cannot relax and do fun things. Consistency in leadership is key. Any time you go outside, the leader needs to leave first and be followed by your small dog on a leash. You also need to enter the house first too. If you have stairs, the same needs to happen with you walking up or down them first. Sitting down. Your dog should not receive food or praise without sitting first. This ought to be a command that they follow before doing everyday things like getting a treat, before they get to go for that exciting walk, or before playing with much-loved toy. Your dog must learn to sit or not have anything that they are hoping for -it is time to be strong. Control at meal times. Try to time meal times for the same time every day, if possible, this should be alongside your meal times. Meals must be scheduled, and food should not just be given when your small dog pleads for it. When it is dinner time your small dog should watch you eat your meal first. Have their bowl ready on the table in your dog’s sight so they understand that you are in charge of providing the food. Once they clearly see that you have eaten first, only then should you place their food bowl down. If they lunge for the food, you need to block him and show your strength through your body language. Food is the foundation of knowing who the is leader – do not let him eat either if he is barking at you. Never give your dog food from the Alphas plate. 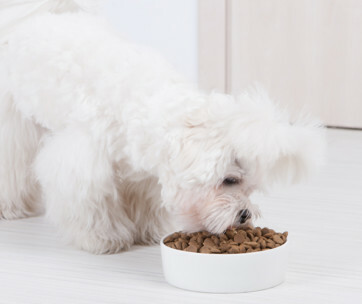 Small food is also a requirement for appropriate digestive health for small dogs. Finding the best dog food for small dogs can be tricky with the many choices available. Taste of the Wild supply food which is rich in protein, which is something a small dog syndrome dog obviously needs to stay fit and energetic. Wellness Core Natural Grain Free is also one of the best small dog foods that uses only natural ingredients. Powerwalk. Every time that you take your dog for a walk, it is important to walk as a natural pack would do with you in charge. This means that you need to have your dog walk beside you, not in front of you. It is a dog owner who should decide where the walk will go. During training, whenever your small dog stops to explore, give a gentle tug on their leash to remind them that they can only stop when you say that they can. There should be no charging forward, making a move towards other dogs or refusing to move. A pet with small dog syndrome should not be allowed to ignore your lead. No sleeping in owners’ beds. During training, your dog must never be allowed to sleep on your bed. This includes allowing them up on to the bed for cuddles. They need to understand that their place is not on your bed but on their own as you are top dog. They can have a pillow with your scent on it if this is difficult at first in their own dog bed. Ignore tantrums. If your dog throws a noisy and disruptive tantrum for attention, do not give them any. All attention that you do give to your small dog like playing games, needs to be started and ended by you. Everything needs to be controlled by you and they get your attention on your terms. Bear in mind that you are going to be attempting to tackle small dog syndrome not only for your sake but for your dogs as well. As soon as they learn that you are the leader, they will be less stressed and far more contented and will no longer feel the need to compete with you. Your dog will not feel it is essential to try to get things by growling or barking. After a couple of months of training, you will have a dog who is well behaved and who wants to please you instead. Overall do not worry about little dog syndrome, it is just a collection of behavioral issues that are easily solved with a bit of strict training. The overall atmosphere of your home will be peaceful and contented again. It is recommended that you turn to a good routine, appropriate socialization, and found yourself as the leader, and your pets little dog syndrome will disappear.